I got into a discussion in Twitter about Newton’s force with a Newtonian person. Here’s a summary of the exchange. According to that criterion, Newton was a charlatan because he didn’t know how gravity worked. What Marcos is alluding to is one of the most fundamental propaganda perpetuated by the Cult of Newton. This propaganda was first told by Newton and it’s been repeated by his disciples ever since. Newton claimed to compute planetary orbits by using a quantity he called “force.” The defining characteristic of this force is that it acts from a distance and without time passing. This is known as “instantaneous action-at-a-distance.” This force defined by Newton acted from a distance (action-at-a-distance) and it acted without time passing (instantaneous). Every sane person –except physicists who blindly worship Newton– agree that instantaneous action-at-a-distance does not exist in nature. If Newton is saying that he computed planetary orbits by using action-at-a-distance he is lying because action-at-a-distance does not exist. An example: the Newtonian force residing in the Sun acts intelligently from a distance and computes instantly the mass of the Earth without reaching to the Earth and sends the right amount of force to pull the Earth so that it can describe its orbit. All these happen without time passing. This is how Newton’s force works. This is absurd. Unless you blindly believe Newton’s authority and accept this absurd force on Newton’s word you will deny that such a force exists in nature and can make orbits happen. It’s true that I don’t know how this force works, but I computed planetary orbits by using this force and I got correct results. Therefore, this force must exist in nature, we just don’t know how it works. I leave it to the next generations to find out how this force works. Newton’s disciples swallowed this propaganda and immediately started looking for this force by setting up pendulums near mountains and trying to compute the deflection of the mass of the mountain on the pendulum. Of course, they could not find any trace of this absurd force because it does not exist. But since Newton said that this absurd force existed, Newton’s disciples invented all kinds of mathematical gimmick to incorporate this force to physics. To this day, physicists write a force term to uphold Newton’s authority but then they cancel it before making real calculations. They do this by writing a force term on both sides of an equation. they say, then they cancel force terms. Any term written on both sides of an equation have no effect and it is cancelled. This is how physicists pray and worship their prophet Newton. For physicists, force is Newton’s Soul that permeates the entire universe. Well, if not the universe, it is the Soul that permeates entire physics. I call Newton’s bluff. His disciples the physicists cannot question their prophet but I can. I say that there is no instantaneous action-at-a-distance in nature therefore Newton’s force does not exist in nature. It doesn’t exist therefore it cannot be used to compute orbits. It’s not that we don’t know how it works, no, there is nothing to work, because force does not exist. But Newton says that he used this absurd force to compute planetary orbits. How can that be? Simple. Since this force does not exist in nature Newton could not have used it to compute orbits. And indeed, we open Newton’s famous book, we look at his computations of planetary orbits and we see that he is not using a term for force. You can check this for yourself. Newton is lying. He is not using force but he says he does. 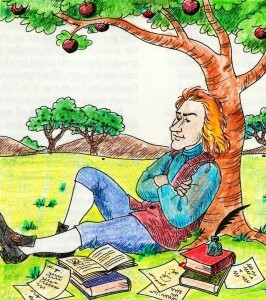 Newton’s disciples believed Newton and made this absurd force the fundamental interaction in physics and in nature. I realize that discussing force with a physicist is like discussing Christ with the Pope. A physicist will have in his toolbox dozens of sophistical arguments to save this force and Newton’s authority and he will dismiss any arguments you throw at him. He will say “force is a field”; he will say “it’s not important what Newton did. Now we know better.” He will say “forget Newton. Gravity is explained by Einstein.” The Cult of the Vis will always win. The way the Pope will always win. — Twitter thread mentioned in the article. Sabine Hossenfelder’s blog. — Newton’s original computations in the Principia. You can confirm that he does not use a force term. Fatih Altaylı ile Teke Tek programında İsaac Newton’a karşı belirttiği kayıtsız şartsız hayranlık ifadelerini duyduktan sonra Prof. Celal Şengör’e yazdığım bir mektupdur.